Disease always breaks the habitual course of human life. Especially hard people are experiencing the room in the hospital. The best comfort to the patient are visits of relatives and friends. 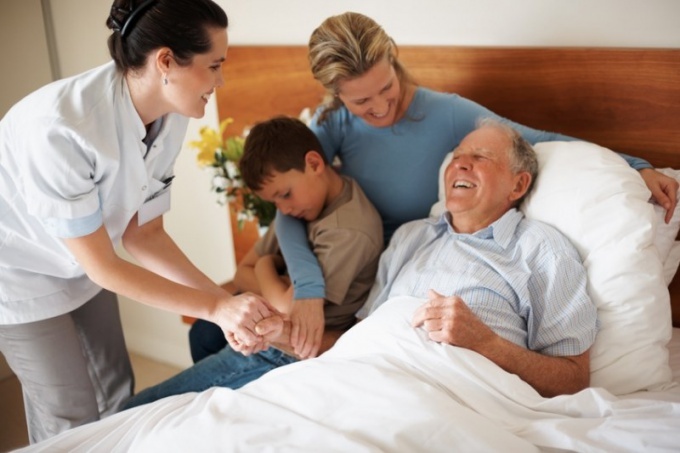 Visiting relative or friend in the hospital is not always possible. In the infectious Department visitors are not allowed, and in intensive care patients are not even allowed to carry mobile phones. If barriers to visits no, come unexpectedly, only the next of kin, in other cases it is better to call the patient and verify visiting welcome: some people don't like to strangers – even friends – have you seen them sick. Going to the hospital, you should know the Department and room number where the patient lies, you can find out by phone with him or his next of kin. If you meet with the patient and not necessary be limited to, Department and room number to write on the package. To visit and receive transmissions in hospitals set a particular time. This can be clarified by calling the hospital. Traditionally, patients come with flowers and refreshments. But a bouquet of flowers – not a good idea: will have to find capacity to put it to change the water so it's no good – a person may be hard once again to get out of bed. The patient will be more grateful for the items not so romantic, but necessary. It is better to directly ask the person in a telephone conversation, what he needs: maybe he ran out of sanitary napkins, or toothpaste, or he has nothing to read. Of course, not all requests should be performed is to bring to the hospital alcohol and cigarettes is strictly prohibited. Bring the patient any food possible, but we must remember that many diseases of the diet appointed. What can the patient have and what is not, better not ask him and your doctor, because not all patients are diet seriously enough. To bring the food in large quantities is not necessary, but vegetables and fruits it is better to wash in advance. Before you enter the house, you need to wear Shoe covers on your feet and on the shoulders – a special one-off cloak. Typically, these items are sold directly to hospitals, but it is better to buy them at the pharmacy – just in case the medical establishment will not. At the same time the chamber allow no more than two visitors for one patient, so your visit should be agreed in advance with other family members and friends of the patient, which may also come. It doesn't matter only in case, if the person is able to go into the hall where you can meet with any number of visitors. If a person is in the moment in the house, for example, on the procedure you need to wait for him in the hallway. Entering the room, greet all who are there, and then coming to the bedside of his relative or friend with him directly. You need not to sit on the bed and on a chair if the latter is not, it is better to stand.